Textbook Mommy: Want to Be a Sun Smart Parent? Want to Be a Sun Smart Parent? As a new parent we are bombarded with information; endless lists of do’s and don’ts and some of it seems to change depending on the source. You’ll be happy to know that when it comes to sun protection it is simple, and all reliable sources offer the same advice making it easy to follow. 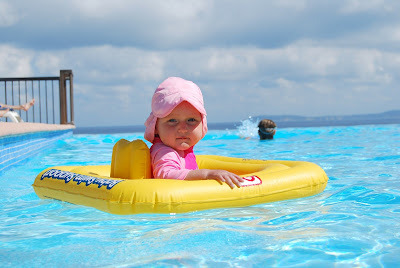 We know that baby's skin is sensitive and delicate which makes it more vulnerable to the harmful effects of the sun. For the first 6 months your baby should be protected and shielded from direct sunlight. The simple fact is that the sun should be avoided between 10am and 4pm. Head for the shade, and always use your Sam&Hugo Sun Blanket to ensure full sun protection in the pram or baby carrier.